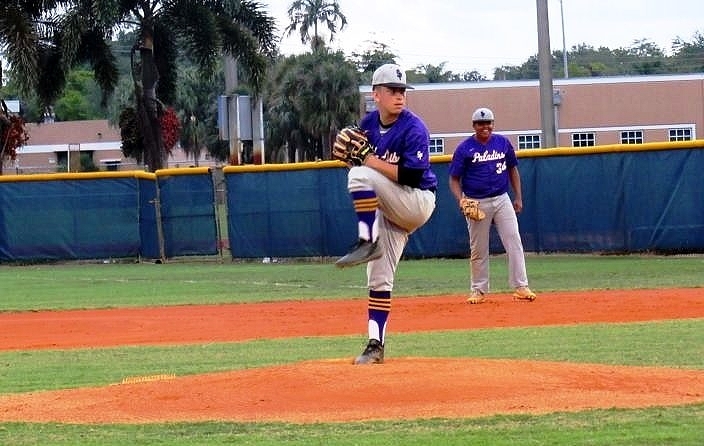 The annual battle of Plantation was played Thursday night, and led by a hot offense and solid pitching South Plantation soared to a 9-3 victory over district rival Plantation. Brandan Fogel started the night for South Plant going four innings with nine strikeouts, and allowing five hits. Fogel showed great control and had Plantation off balance most of the outing. Shane Holley came in relief and dealt three strong innings with five strikeouts to seal the victory. “When the bats start going and our team has our back, we have more confidence on the mound,” said Fogel. “When we believe in ourselves and have each other’s back that’ll get us through any game,” said Shane Holley when talking about teams confidence. For the Colonels Cameron Vadnais threw five innings and struck out four on the night while giving up only four earned runs. The offensive production came in small doses with Manny Paz going 3-4 tonight with two doubles and a run, as well as Manny Baez going 2-4 with an RBI single. The Paladins offense came out hot from the start with Blake Butler opening the big second inning with a lead-off double followed by a Jeffery Cohick single. Clayton Osgood laid down a squeeze and reached on error while plating the first run of the game. 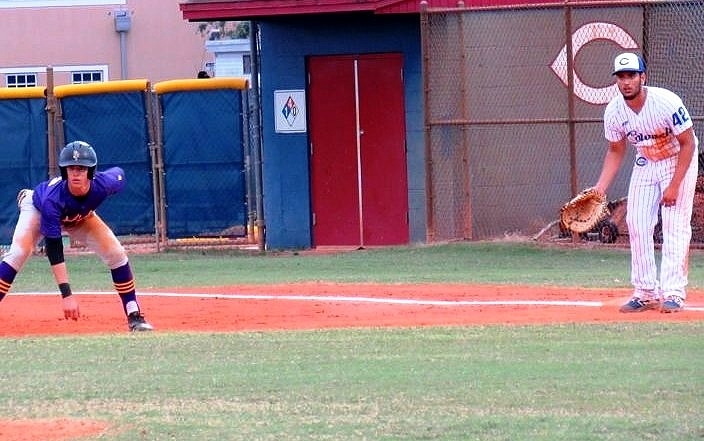 The Paladins scored four runs off errors to set-up an uphill battle for Plantation. Plantation scraped one back in the fourth starting with a Manny Paz double, which set up Anthony Samlal to drive in the Colonels first run on a single to center-field. The Paladins quickly got a run back following back-to-back singles by Robert Fernandez and Blake Butler and a Jeffery Cohick walk, loaded the bases for Juan Gomez. Gomez hit a single over the second basemen and ignited the offense once more. In the sixth South Plantation tacked on three more runs coming from singles by Zach Koehler, Kyle Spohn, and Robert Fernandez. 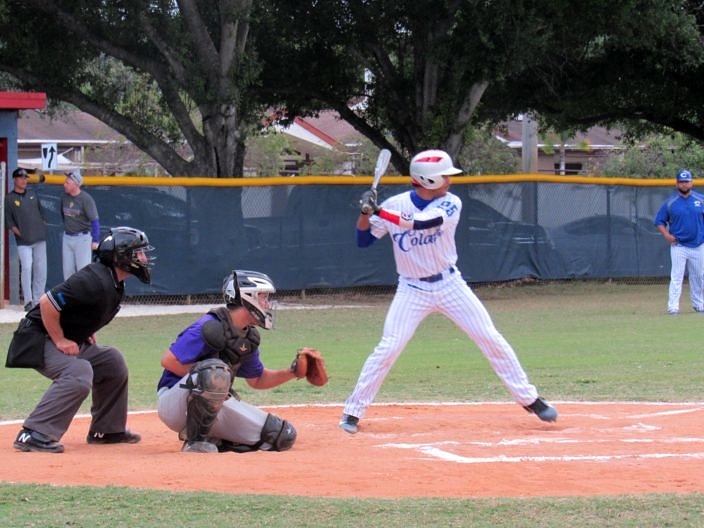 Plantation showed some life in their half of the sixth after a lead-off hit by pitch on Anthony Samlal but South got a quick strikeout and groundout to halt the Colonels comeback. Back to back walks loaded the bases for Cameron Vadnais who’d walk as well to make it a 9-2 game. Manny Baez singled to to left-field to bring in the final run of the night for Plantation. Plantation will look to bounce back after a tough loss when they face Miramar next Monday. South Plantation is back at it again tomorrow against South Broward and will look to ride with their momentum.